In July 2017, after months of negotiations and strategic planning a business and employee-friendly paid family and medical leave law was signed by the governor. 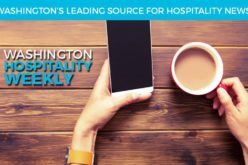 Now with the implementation date for Washington’s Paid Family and Medical Leave set to begin on Jan. 1, 2019, the Washington Hospitality Association wants to ensure you are informed and prepared for the coming changes. Part one of the Paid Family and Medical Leave Act takes effect Jan. 1, 2019 when insurance premium collection will begin. Every employer will have new requirements for this law regardless of size of business. All employers must collect premiums from all their employees’ wages. It is important to note that wages do not include tips. All employers must report wages and hours to the state Employment Security Department, which is similar to how Unemployment Insurance is reported. Beginning one year later, on Jan. 1, 2020, all employers must notify employees of the program and their rights, including on their labor posters. 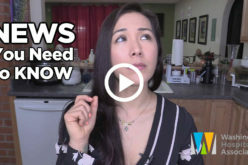 What is Paid Family and Medical Leave? Washington’s Paid Family and Medical Leave Act created an insurance program for all qualified, eligible employees who have worked for any Washington-based employer for 820 hours for four out of five of the previous quarters. This equals about five months of full-time employment or those who have worked 17 hours per week for the entire year. Employees in a business with fewer than 50 employees are covered and pay into the fund, however, the employer is exempt but may choose to opt in. Employees are eligible to use paid family and medical leave only for a qualifying event that is medically certified and is approved by the Employment Security Department. How much leave may be taken? Eligible employees who meet the criteria may access paid leave for qualifying events that are medically certified. If a person experiences a disability related to pregnancy, she may be eligible for a total of up to 18 weeks of leave per 12-month period. The total cost of the program is 0.4 percent of payroll for the first two years and will be adjusted annually after. Two separate funds have been established. The first is the Paid Family Leave fund, which is one-third of the cost of the program. The second is the Disability/Medical fund, which covers the remaining two-thirds of the cost of the program. For the total cost of the program, 37 percent is paid by the employer and 63 percent is paid by the employee. What’s the difference between the funds? The Paid Family Leave fund is 100 percent funded by the employee and covers absences for child bonding, care of an ill family member, or a military exigency. The Disability/Medical fund is 55 percent paid by the employer, 45 percent paid by the employee. This fund may be used for an employee’s disability, including pregnancy. The total employer contribution is 37 percent or 0.148 percent of payroll. For example, for an annual payroll of $1 million, the program would cost an employer $1,480 per year. The size of an employer is counted by the Employment Security Department once a year on Sept. 30. The department will average the number of employees reported by an employer over the last four quarters of the calendar year. This number will determine employer premium responsibilities and eligibility for small business assistance grants. 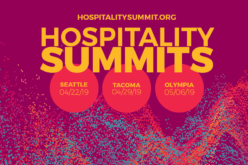 Why is this program a win for the hospitality industry in Washington? Businesses with fewer than 50 employees (96% of all businesses in the state) are exempt from paying the employer portion of the law. This allows small businesses to determine if they would like to opt-in. If a small business opts in, they must do so for three years. Businesses with fewer than 150 employees may receive financial assistance up to $3,000 no more than 10 times per year to hire a temporary employee to cover duties while an employee is out on leave, or up to $1,000 for training and overtime costs. Businesses that already have superior paid family and medical leave programs in place, may be waived out of the state program. Businesses will be able to decide what is best for them and their employees. Larger businesses, who already offer paid leave, but choose to join the state program, could see a cost reduction from enjoying the benefits of a statewide insurance pool. Businesses that hire a temporary worker to cover the duties of an employee on paid family and medical leave will not be charged for the layoff experience when the employee returns. The length of time employees can be on leave is consistent with the Federal Medical Leave Act (FMLA) and provides additional time for very narrow circumstances like a pregnancy-related disability. The employee job protection requirements in Washington’s Paid Family and Medical Leave program are also consistent with FMLA. One statewide insurance program prohibits local governments from creating costly, duplicate programs. How is Paid Family and Medical Leave different from Paid Sick & Safe Leave? There are many differences between these two types of leave. Importantly, these two types of leave cannot be used at the same time. An employee must select only one type of leave at a time.